International Media Ventures is attempting to grow its database of subscribers for the magazine Deal Maker Daily with a print advertising built on a sense of inside information. 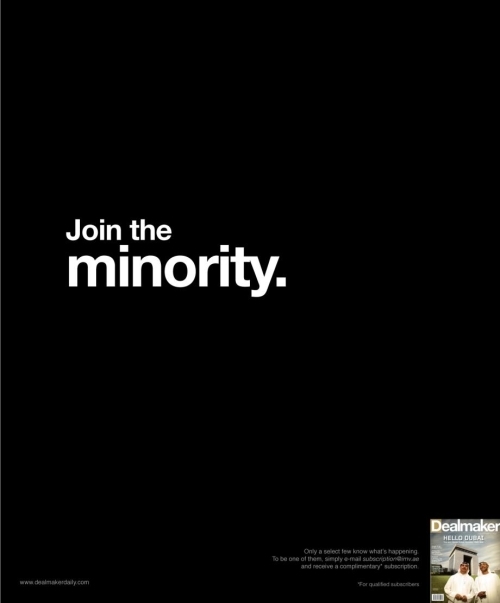 A free trial subscription was promoted using two “black out” print advertisements developed by Bates Bangulf, Dubai. 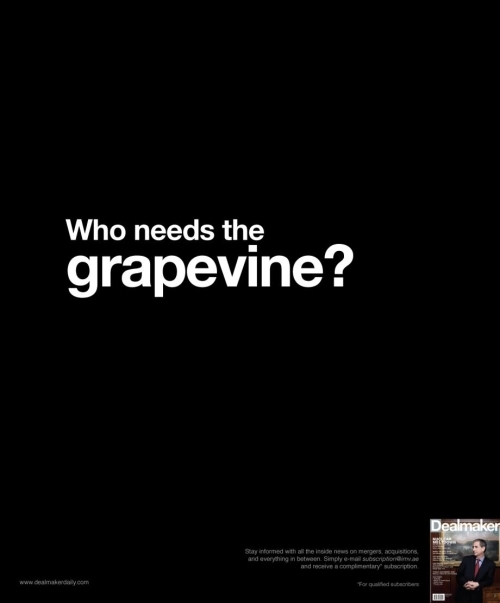 “Who needs the grapevine?”, and “Join the Minority”, show the magazine filling one small corner of an empty black rectangle. The Black-out effect grabbed my attention initially, enough to get me to the small print. The “for qualified subscribers” clause, however, suggests this is all too good to be true. The Select Few campaign was developed at Bates Pangulf, Dubai, UAE, by creative director Ranesh Keswani, art director Kamal Sethu, and copywriter Micky Kalita. via MediaMe and Ad Bog Arabia.